I have read a couple of Matt Haig's more recent books, Reasons to stay Alive and Notes on a Nervous planet, both books really resonated with me. I love his tone, the language he uses and his style of writing. 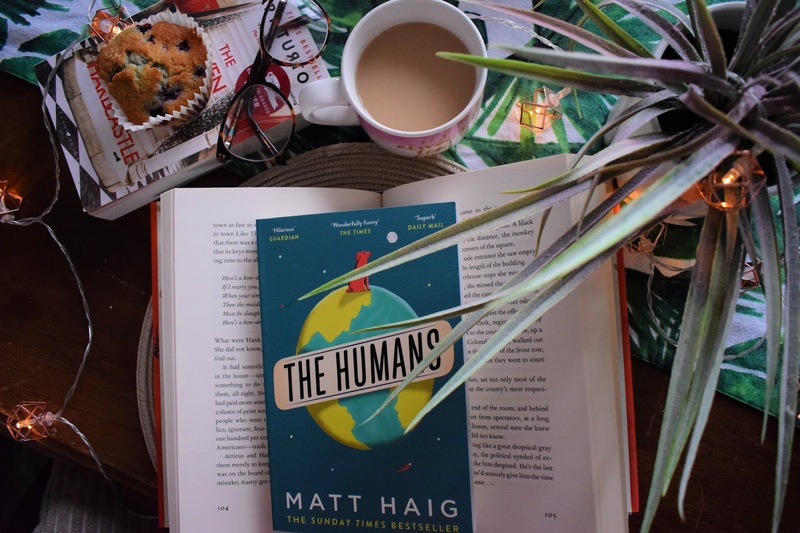 So when I discovered one of his earlier fictional books The Humans, I was intrigued and set out to find out if I would enjoy his style so much in a story format. "After an 'incident' one wet Friday night where he is found walking naked through the streets of Cambridge, Professor Andrew Martin is not feeling himself. Food sickens him, clothes confound him. Even his loving wife and teenage son are repulsive to him. He feels lost amongst an alien species and hates everyone on the planet. Everyone, that is, except Newton, and he's a dog"
"Who is he really? And what could make someone change their mind about the human race....?" The Humans is a cleverly written story about what it is to be human, written from the perspective of an outsider an alien to Earth. A being with a poor opinion of the human race, someone told of humans with their greed and their tendency for violence. They cannot be aloud to advance their nature and arrogance makes them dangerous. THERE IS NO PLACE LIKE HOME, OR IS THERE? I enjoyed the concept of this story, with the clever and humorous way it opened up the complexities of the human world. Commenting on our rituals and language often meaning something completely different to what's being said, a confusing concept to an alien, and often even humans. 'The others' think humans fragility and mortality make us weak, but in fact it's that along with love and relationships that in fact make us strong and give us purpose and a desire to live. I would 100% recommend this book, a really enjoyable yet thought provoking read. This sounds like a cool, unique concept, will have to check it out!